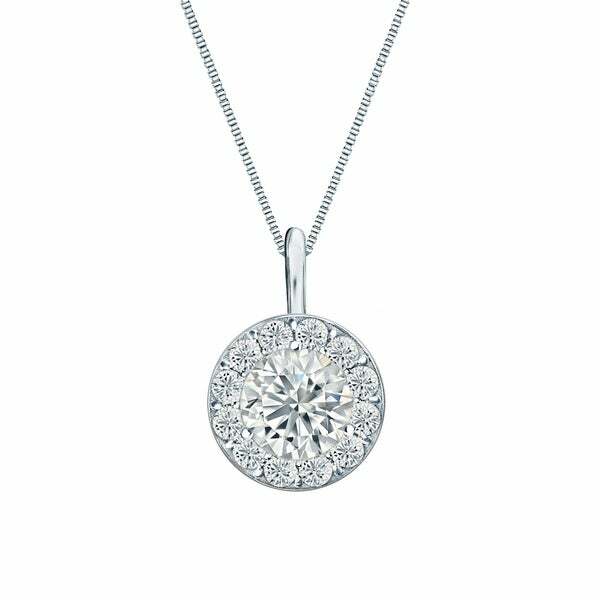 Ethical Sparkle Diamond Halo Pendant features one 1/8ct round-cut diamond that is surrounded by a halo of 1/8ct TDW dazzling round-cut white diamonds adding sophistication to the style. This beautiful pendant is crafted in your choice of 14k white, yellow, or rose gold; fastens securely with spring ring clasp, and is completed with high polish finish. Lab grown diamonds are a perfect alternative for a natural diamond as it offers the same brilliance and fire. Diamond necklace is a staple to every jewelry collection. Crafted in your choice of 14k Yellow Gold, White Gold or Rose Gold with a high-polish finish.